The photographs of youths at night, lonely roads, and derelict buildings on the outskirts of town present an alienated and dissipated existence which Henson is well known for depicting. 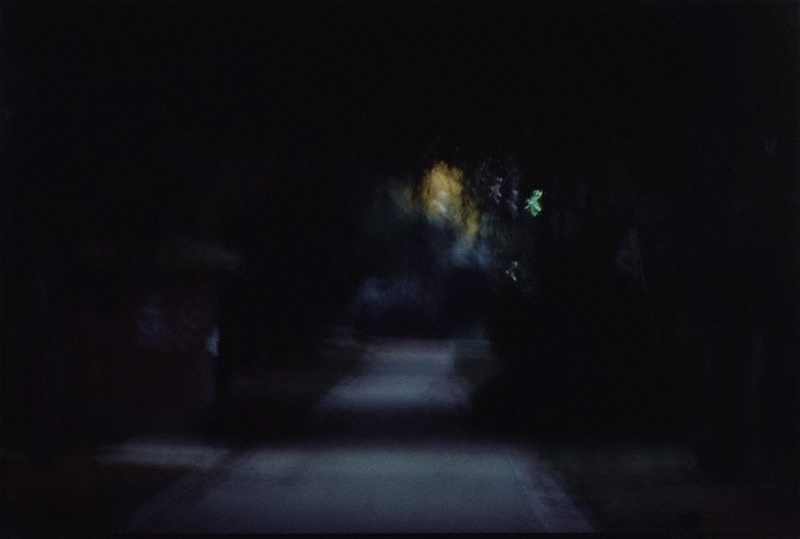 The subject of the empty road is played with extensively in the artist’s work of this period and this particular photograph (#41) is an excellent example. The flashes of colour in the darkness of the trees create a feeling of dynamism (in the sense of Bragaglia’s photodynamism for example) and import. The empty road is a heavily laden metaphor in photography and in art history. Henson maintains the significance of such a metaphor in all its complexity.